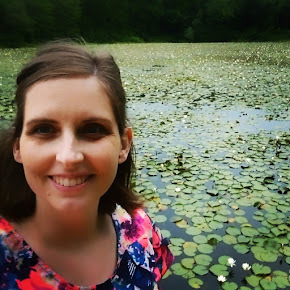 Today I have a giveaway for you! 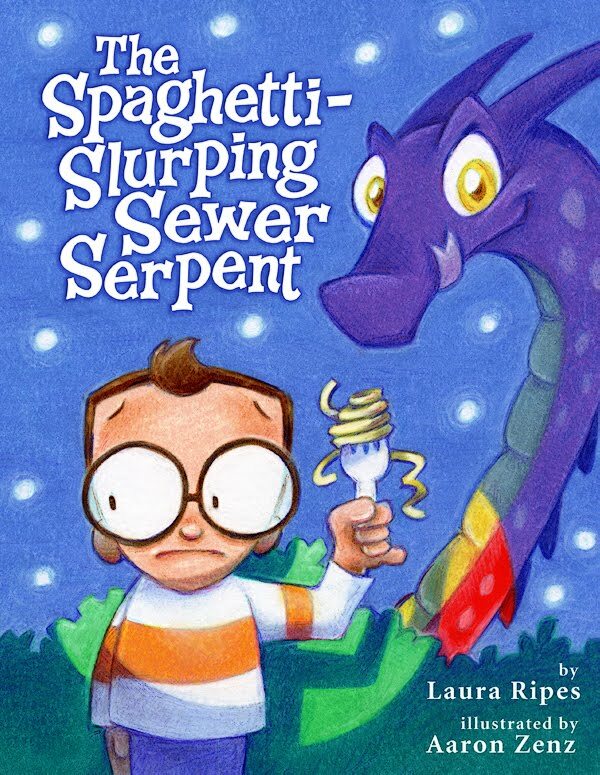 A little while back the kids (and dad Aaron Zenz) at Bookie Woogie interviewed Laura Ripes and talked about her book The Spaghetti-Slurping Sewer Serpent, which Aaron Zenz illustrated. It's a very fun interview. At the end of it, they had a giveaway (spoiler: I WON!) of two copies of the book -- one to keep and one to share. I thought that was so clever. So now YOU can win! But first let me tell you a little about the book. 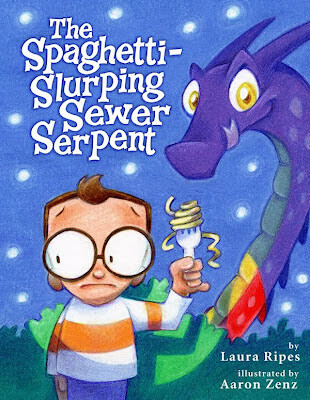 As you may have guessed from the title, The Spaghetti-Slurping Sewer Serpent is a tongue-twister book with loads of S's. It follows Sammy Sanders as he searches for some way to show that all this suspicious evidence he has collected comes from a spaghetti-slurping sewer serpent. I love that Sammy grows over the course of the short narrative -- at the beginning of the book, he's got something to prove, literally. By the end, he is a little more relaxed and realizes that knowing the truth for himself is satisfying, whether or not he can prove it. To enter to win a hardcover copy of The Spaghetti-Slurping Sewer Serpent, signed by the author and illustrator, leave a comment on this post. If you'd like, you can talk about a time when you were gullible, like Ms. Ripes says she was in childhood, or when you "got" someone who was gullible. The winner will be announced in one week, on Tuesday June 5. Check out Everead's Giveaway Policy. Good luck, and I hope that you win! It's a cute one. p.s. Looking for a good book to give to a baby? Everead's top 5 picks. UPDATE: Aaron Zenz says, "I busted 141 pencil tips in the making of The Spaghetti-Slurping Sewer Serpent. :)"
What fun illustrations! I always love cute and fun illustrated children's books. And, the story sound fun too, especially with the tongue twister S words. Somehow I missed that Zenz illustrated this one. I am a big fan. I can't remember any specific examples of when I was fooled, but I was definitely very gullible as a child. I still am, to some degree. Anyways, we'd love to win it! I'm quite a fan of Aaron and his work. It would be fun to have book. What a cute book! I would love to have a copy! Did you know they took the word gullible out of the dictionary? Yeah, I feel for that one...when I was 12. I looked it up and everything. Hopefully I'm not as gullible now. We love the Zenz fam and have been following Aaron for years! You're opening my eyes to all this new literature...I guess I better enter the giveaway to continue my education! I'm not sure whether I was gullible as a child, or if my brother was just really convincing, but he told me that mayo was made from cow puss and that vultures ate anything red -- I had red hair and a favorite red shirt and I was terrified to go outside for a bit. I'm pretty much always gullible. And Taylor would love this book!!! Emily - "hey look! someone wrote gullible on the ceiling!" that's the one that got me at that age! llcall - oh my goodness! those brothers! and wait...mayo ISN'T cow pus? just kidding. Sounds like such a fun book. I'll have to look for it at the library, unless, I just happen to win it. I was so gullible as skid, and still am just a little bit. I always believed the dictionary joke when I was younger. Abe and Joy have been trying to prove each other to be the most gullible ever since they read about your giveaway. Abe even tried the ceiling joke, and we all laughed after we read your comment. Who was the one gullible enough to believe that Pinal county is in Canada, anyway?